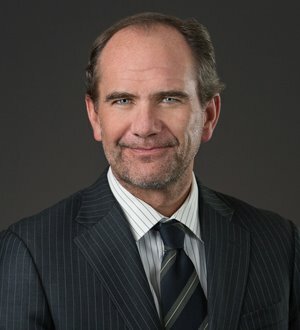 John P. Desmond is a shareholder and the firm's Reno Litigation group leader. He focuses his practice in the areas of commercial litigation and appellate work. He regularly represents and counsels clients in commercial and business litigation matters involving contract disputes, buy/sell agreements and disputes over intellectual property. He has also represented physician groups in regard to compliance and contractual matters. His representation of clients includes a significant number of matters before the Nevada Supreme Court and the Ninth Circuit Court of Appeals. Represented client in a case of first impression to the Ninth Circuit Court of Appeals involving the First Amendment rights of anonymous bloggers on the Internet (2010). Obtained a judgment for the largest gas station and convenience store operator in Nevada in excess of $100 million on claims for fraud and misrepresentation after an eight-week trial, with the court awarding both compensatory and punitive damages. Successfully represented a large manufacturer on a certified question to the Nevada Supreme Court as to whether Nevada recognizes a cause of action for medical monitoring in products liability actions. Before joining the firm, Mr. Desmond was a shareholder at the Nevada law firm of Jones Vargas for many years. Mr. Desmond was active in leading the opposition effort that lead to the defeat of the statewide judicial term limits initiative in 1997. He received recognition from the State Bar of Nevada and the Nevada District Judges Association for his efforts.